We’re not entirely sure what goes on behind the music-selection curtain in Trail program director Robert Chase’s office. But we do know one thing: the result is usually something magical. After all, you don’t win the “Best Radio Station” category in the coolest town of the coolest state by accident, right? Whatever formula he uses to make his decisions – is that country music, or jazz? – perhaps none has been more honed over the years than his choice for each week’s New Tracks on the Trail. We like it because we like new music; we love it, though, because it’s the perfect blend of artists in which we’re incredibly fond and ones of which we, quite frankly, have never heard. This week, however, Robert has thrown a monkey wrench into the equation. With the exception of one group of old timers and a brat pack that really only boasts one single to its name, each of this week’s New Tracks artists are unfamiliar. In fact, the list was intentionally set that way – and was developed with the assistance of Tommy, the station’s late afternoon/evening host and the mastermind behind our other Tuesday feature, The New Show. This week, the two have taken some of their favorite band featured from New Shows past and will give them the all-day treatment. • Their first big single, “Sedona,” may have been the coolest track released in 2015. 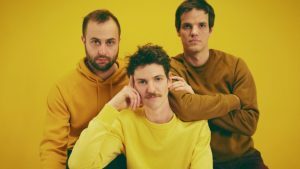 Now Louisville-based alternative blues three-piece, Houndmouth, is gearing up for their follow-up. Golden Age, which will mark their second full-length, is due Aug. 3. It’s also the first without singer/keyboardist Katie Toupin, who went solo in 2016. Catch Houndmouth live at the Wilma on Sept. 16. • We featured “Mistake,” the first single off Middle Kids‘ debut album, Lost Friends, back in February. Now another one from the Aussie indie rock trio. Lost Friends, which dropped in May, has drawn comparisons to the alt-pop sounds of ’90s groups Belly and Cranberries, as well as to the “big tent ambitions” of modern ensembles like Arcade Fire and The National. “They deal in the sort of radiant, anthemic indie rock that sounds right at home on in-store satellite-radio playlists of in the background of pivotal scenes on prime-time dramedies,” Berman wrote in his album review. • The second of three female-led bands on this week’s list – and the third trio – is a group recently named one of the “10 New Country Artists You Need To Know” by Rolling Stone magazine. 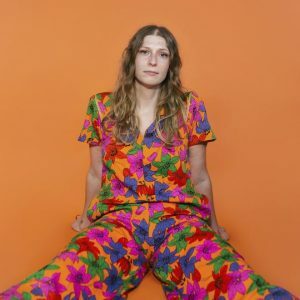 They’re called Liz Cooper & the Stampede, and they’ll make a stop at the Top Hat on July 25 in support of their debut LP, Window Flowers. The Nashville-based group will also play Butte two days later on the opening day of the inaugural Wild West Music Fest. • The “oldie” on our list is Buffalo Tom – 29 years old, to be precise. But considering this is the Boston alternative rock band’s first release in seven years, and considering nearly every critic is hailing them for managing to both stick to their roots and mature, it’s kind of like a new band, right? At least a newly inspired one. The album demonstrates the trio’s refusal to live in the past, reviews AllMusic critic Mark Deming. • The third of our female-led groups is a four-piece (finally!) from Provo, Utah, who have been performing together since they were high school classmates. The Aces, as they’ve become to be known, are a little bit rock, a little bit pop – but they’ve worked overtime to defy the trappings of your typical female pop-rock outfit. The Aces’ first single, “Stuck,” off debut EP I Don’t Like Being Honest, cracked the top 40 on the Billboard Alternative Songs chart in 2017. This week, a track off their first-ever full length, When My Heart Felt Volcanic, which dropped in April. • Finally, we’ll round off the day with a new artist from right here in Missoula. They’re the four-piece known as Insomnia Plague, and Tommy has been showing them some extra love with inclusions on back-to-back episodes of the New Show this month. This week they, too, will get the daytime hours treatment from the Trail with a track off their self-titled debut, which dropped in May on streaming services. Hard copies of Insomnia Plague are also available now at Rockin’ Rudy’s.